FDA's Class II Special Controls Designations Are On The Rise; How Will Your Device Be Affected? Over one-third of all Class II devices now have “Special Controls” designations from FDA. The rate of such classifications in the last seven years has increased by over 240 percent (Desjardins 2010). What is driving this trend? In an effort to better understand this rise in Special Controls classifications, we conducted extensive research into the FDA’s classification panel system. With over 1,900 classifications, and more than half of them categorized as Class II, do you know if your device requires Special Controls? FDA describes Special Controls as specific guidance for Class II devices. For devices with this designation, additional controls are expected to “provide reasonable assurance of the safety and effectiveness” when there is insufficient evidence to establish general controls. Often, these are device-specific and include such deliverables as performance standards, post-market surveillance, patient registries, special labeling requirements, premarket data requirements, and additional guidelines. A few device classifications are simply exempt from premarket submissions, but the majority require these stronger controls. Many Class III device companies already practice these additional controls to better capture data for intended use, risk analysis, comprehensive testing, and reuse information for future labeling. However, since some device companies have wavered or interpreted the “least burdensome or risk-based” approach as a way to evade some of the activities, FDA is reinforcing the importance of this approach by sharing and documenting its expectations for specific device controls. For some device submissions, FDA even cites specific design parameters, geometries, material usage, power usage, technical parameters, or tolerance levels they expect to see included. FDA needs assurance that the risk associated with how a device is used has undergone comprehensive risk control. When reviewers believe there is not enough evidence to give them “reasonable assurance of the safety and effectiveness,” the device receives the Special Controls classification. Of the 1,900 devices we reviewed, some medical device specialties were more affected by the classification than others, based on their intended use and risk. This group included device types that contain capabilities or claims of biocompatibility, combinational/kits, electromagnetic, IVD, radiation emitting, software, and sterility. FDA’s heightened testing expectations for Special Controls devices target specific features and risks. The most common enhanced tests included biocompatibility; clinical and non-clinical performance; component durability and lifecycle; human factors and usability; chemical safety; and software verification and validation. These test types can be even more explicit, depending on device-specific features, risks, and intended use. The FDA itself drove much of the rising trend in the number of devices classified under Special Controls, rather than market forces or rising trends in product development. The Special Controls sub-classification of Class II devices allows FDA to establish guidance for device submissions, rather than implementing entire sets of regulations. This is a simpler process, and it is likely FDA will continue expanding the classification in this manner. Medical device organizations should also expect to see more devices transitioning to this classification as Special Controls expand. It can actually be beneficial for a device to fall under one of the Special Controls classifications. Knowing what an FDA auditor expects from your submission can save valuable development time; rather than having to go back and produce the activities retroactively, you can better integrate them into your daily processes and quality system. Many organizations already are doing this. But, for smaller medical device companies with less experience and resources, Special Controls are immensely valuable; they create a more level playing field and make auditors’ future expectations of their device submissions much clearer. The big challenge for both large and small product development teams is interpreting Special Controls and using them to their teams’ advantage. That said, integrating Special Controls designations into your existing quality system can be difficult. Any additional controls risk getting lost in documents, or can expose weaknesses in your current quality processes. Most medical device companies understand that countering these challenges requires strong project traceability. If your product falls under Special Controls, you must ensure that (as an example) the Preliminary Hazard Analysis you now need to conduct is linked to existing design inputs, outputs, validation documentation, etc. This is extremely difficult when traceability between design documents is a manual process. These Class II Special Controls are clearly on the rise, as FDA finds it much more effective to provide specific guidance, versus regulations across an entire device classification. Since these Special Controls hinge on intended use, device companies need to be aware of possible transitions to this classification. Product development teams whose medical devices fall or may fall under Class II Special Controls must work to ensure all related activities are set up at the start of any current or new project. Special Controls can result in detailed early phase work (such as intended use, usability engineering, risk analysis, etc. ), so companies need to leverage and streamline their traceability strategy. Traceability is the catalyst to ensure that proper allocations and breakdowns of all requirement levels are visible during the development, verification and validation processes. It’s not about managing documents any more with disparate tools, but finding better ways to work holistically. 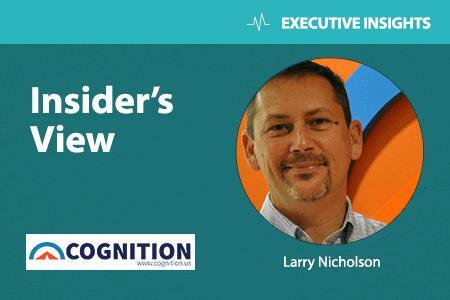 Larry Nicholson is an experienced life sciences professional at Cognition Corporation. He has been supporting organizations in their efforts to balance their R&D life cycles, streamline business processes, and achieve regulatory compliance for over 12 years. Larry focuses on providing guided compliance solutions that help product development teams overcome common risk management and design control challenges.